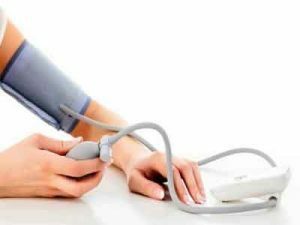 Major fluctuations in Blood Pressure may lead to heart attack in patients of coronary artery disease suggests a new study. Therefore a greater variability in blood pressure readings with every visit to the doctor is not to be taken lightly in patients of coronary artery disease. High Blood Pressure is one of the most important preventable causes of death globally. There is often uncertainty as to the “true underlying BP”, as patients often present with variable BP readings. This is because BP is a continuous variable that fluctuates constantly in response to various changes in physical and mental activities, sleep, and autonomic, humoral, mechanical, myogenic and environmental stimuli. As such, clinic BP or home BP (HBP) in an individual at one time can be considerably different from his/her average day and nighttime BP. If you have coronary artery disease (CAD) and experience greater variability in your blood pressure (BP) every time you visit the doctor, then you are at higher risk for coronary atheroma progression and adverse cardiovascular outcomes, according to a recent study in the journal JAMA Cardiology. Visit-to-visit blood pressure variability (BPV) is associated with cardiovascular events, but there is no clear understanding of mechanisms and therapeutic implications underlying this association. Donald Clark, Division of Cardiology, Department of Medicine, University of Mississippi Medical Center, Jackson, and colleagues conducted the study to examine the association of intraindividual BPV, coronary atheroma progression, and clinical outcomes using serial intravascular ultrasonography. The researchers performed a post hoc, patient-level analysis of seven randomized trials of various antiatherosclerotic or antihypertensive therapies. The analysis included a total of 3,912 adults (mean age 58 years; 28% women) who had CAD and underwent serial IVUS measurements. Most patients (78%) had hypertension, which was generally well controlled. Mean achieved levels of systolic, diastolic, and pulse pressure were 129, 77, and 52 mm Hg, respectively. Continuous change in per cent atheroma volume (PAV) was significantly associated with systolic BPV, diastolic BPV, and pulse pressure variability, without a signal for differential effect greater than or less than a mean BP of 140/90 mm Hg. The PAV progression as a binary outcome was significantly associated with systolic BPV but not diastolic BPVor pulse pressure variability. Survival curves revealed a significant stepwise association between cumulative major adverse cardiovascular events and increasing quartiles of systolic BPV (Kaplan-Meier estimates for quartiles 1-4: 6.1% vs 8.5% vs 10.1% vs 12.0%, respectively). These distinct stepwise associations were not seen with diastolic BPV or pulse pressure variability. “Greater BPV, particularly systolic BPV, is significantly associated with coronary atheroma progression and adverse clinical outcomes. These data suggest maintaining stable blood pressure levels may be important to further improve outcomes in patients with coronary disease,” concluded the authors. These data suggest maintaining stable blood pressure levels may be important to further improve outcomes in patients with coronary disease.